We eat at home 99% of time but feel as though I am making the same boring meals over & over. For breakfast Eggo's or some sort of muffin. For lunch the kids fav is a hard boiled egg salad sandwich. Dinners are usually some form of spaghetti-ravioli-tortellini and sauce. Maybe ill even feel extra fancy that night and bake some hand breaded cheesy crumb crusted chicken tenders to create a makeshift chicken parm. Ouh or the classic go to quick fav italian and caribbean jerk spiced tilapia with angel hair pasta, where we finish cooking the pasta and tilapia the put the pasta in the pan that cooked the fish which lightly oils and flavors it. Edible but lame, I know. So with this revelation I am recruiting you and my trusty sidekick Pinterest to help create a SMP weekly meal plan or at least a trusty list we can all reference with real recipes (real meaning something we can actually make and actually want to make) along with their ingredient lists for easy shopping list making. Of course we all have different tastes, preferences and themes for the food we traditional serve our munchkins and hubbies so please feel free to share what you serve as well skip over those that don't sound appealing. Now I am an NOT claiming (unless specified) that any of these recipes are that of my own, are originals or some magic secret recipe. With that said, I will try my best to link and reference their original authors as best as I can. I am very much looking forward to reading/viewing what everyone has to offer. Best part, you DO NOT need to be a blogger, magnificant chef or supreme food critic to contribute ! Simply link us through the linky form below to that mouth drooling post on Pinterest , your fav bookmarked baking blog or whatever ! ... 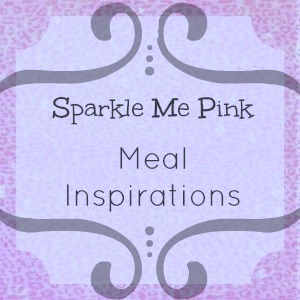 I will link each of the meal inspiration posts to this one post. That way it is an easy one page reference to tons of different ideas! Thanks, I have so many ideas for different themes ! !